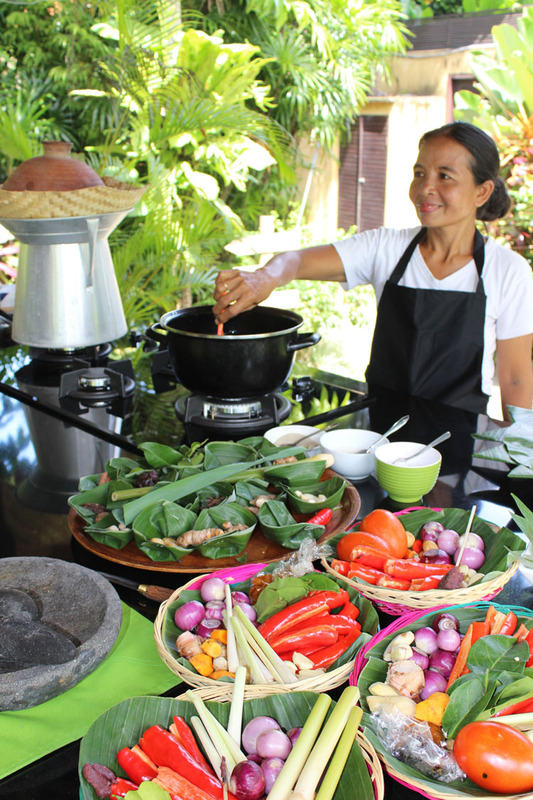 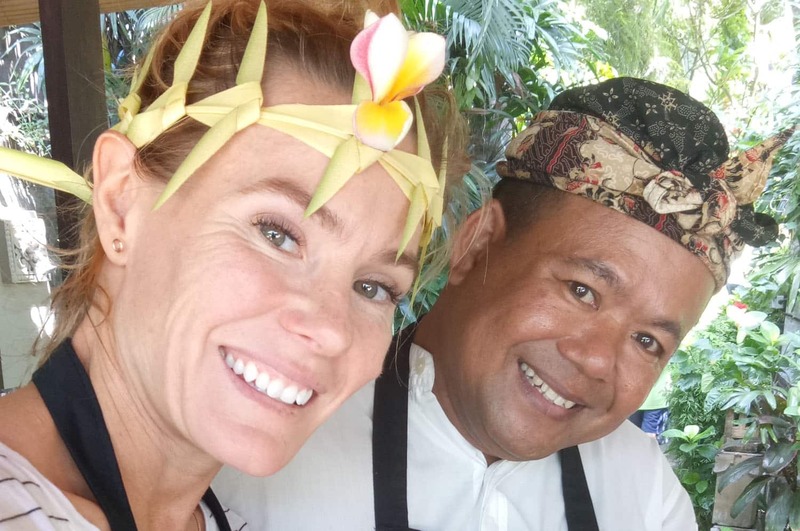 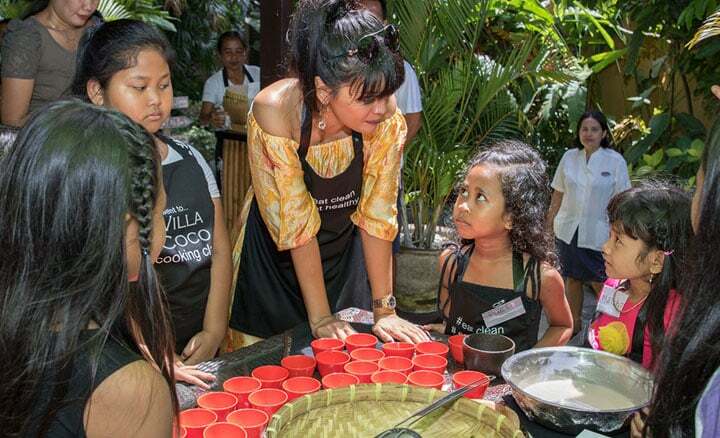 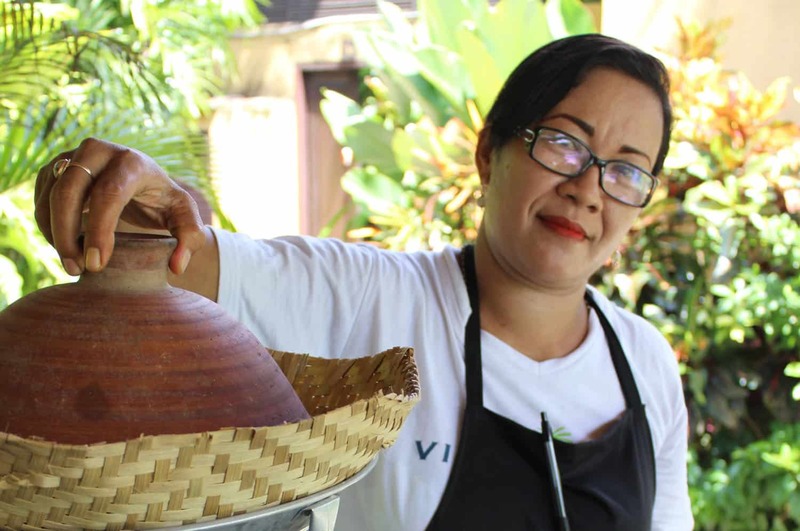 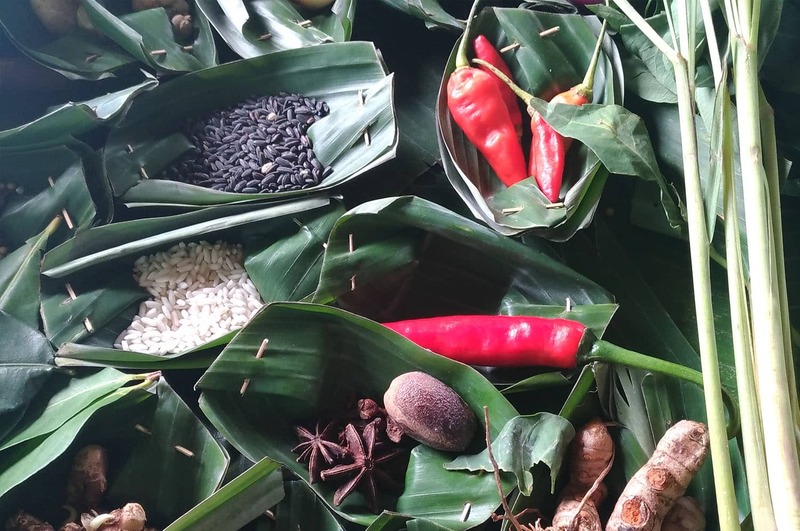 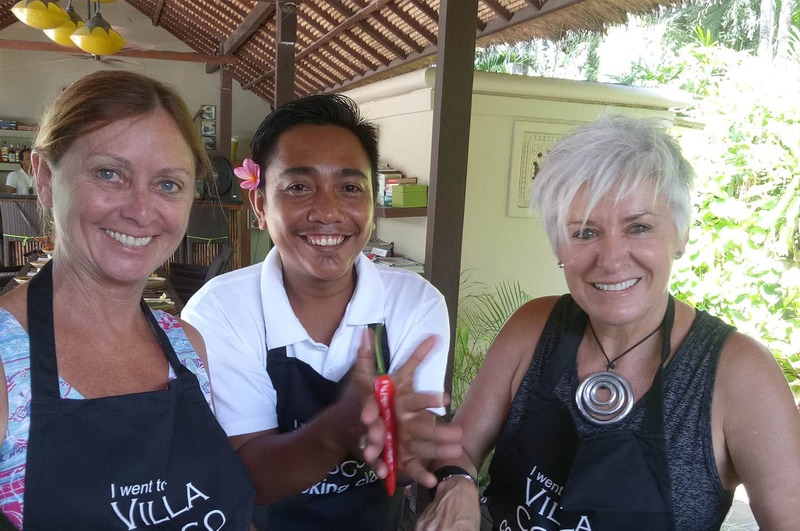 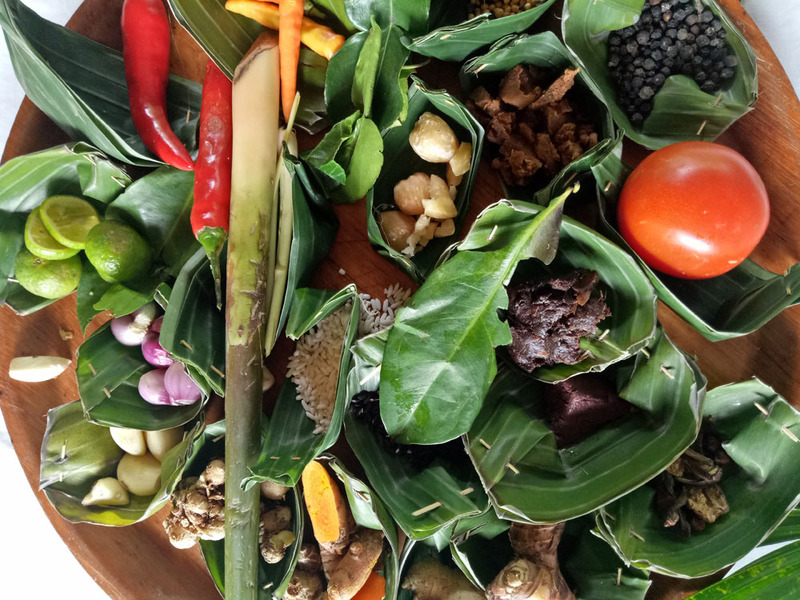 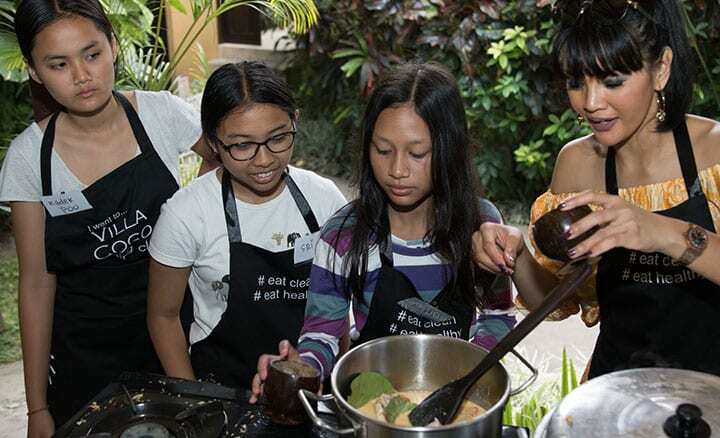 Our staff will be delighted to show you how and help you with everything you need to know about Balinese cooking. 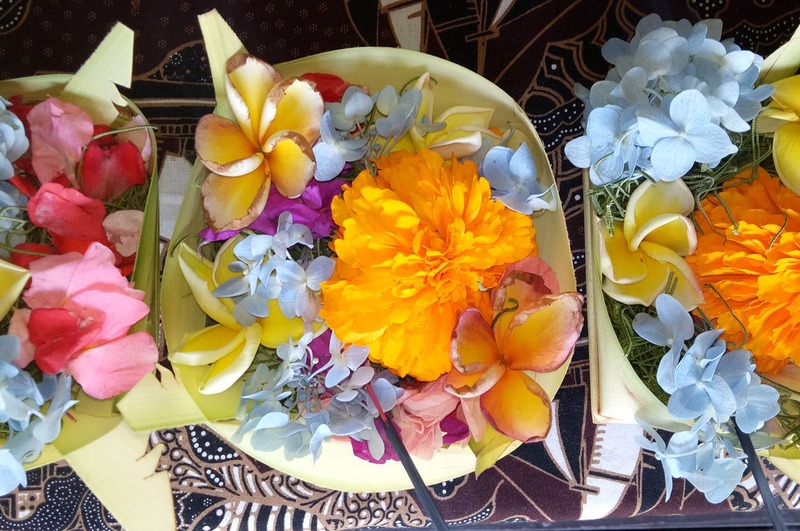 While you are here we will show you how to make offerings which the Balinese put out every day and you would have seen them at temples and in the street. 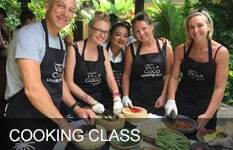 Our classes start at 10 am til around 12.30 and they cost Rp 550.000 each. 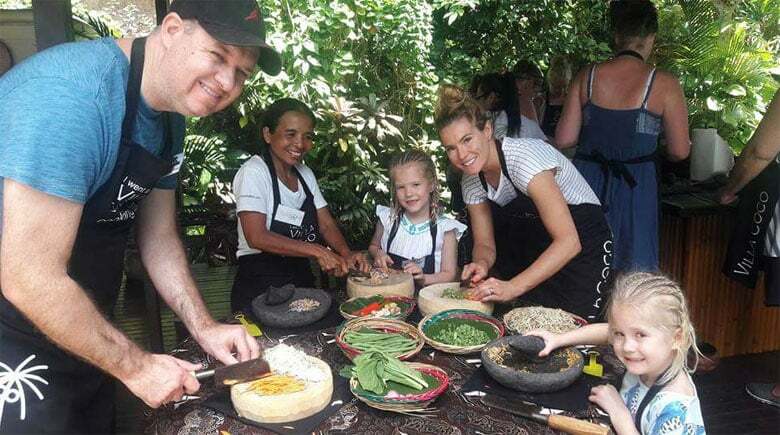 Children under 8 are free and from 8 -12 just Rp 250.000 each. 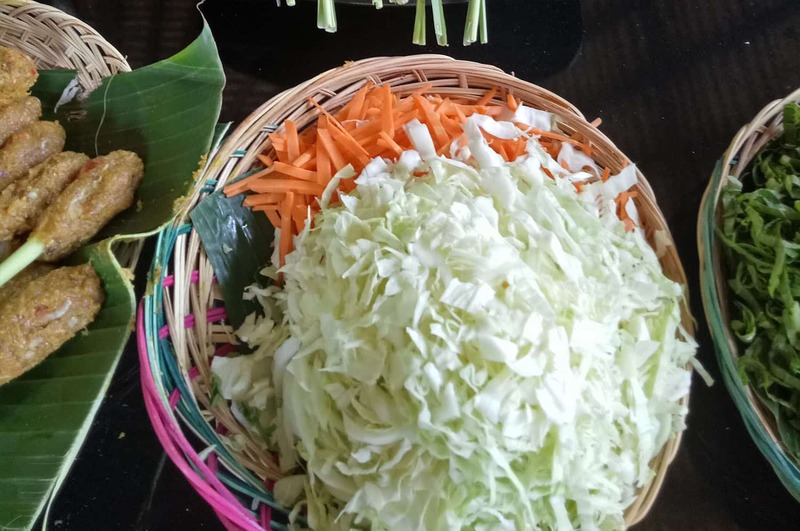 Monday, Wednesday and Fridays. 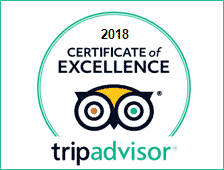 We also cater for Vegetarians and Vegans but please let us know prior. 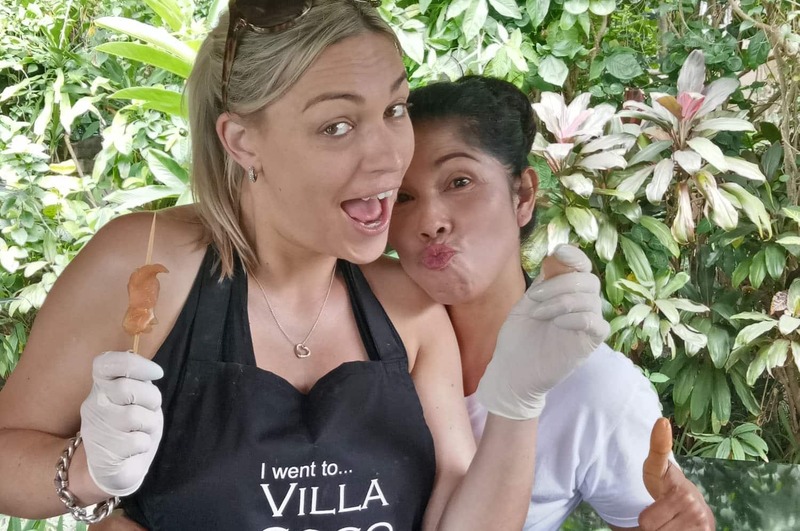 Also men and boys are very welcome! 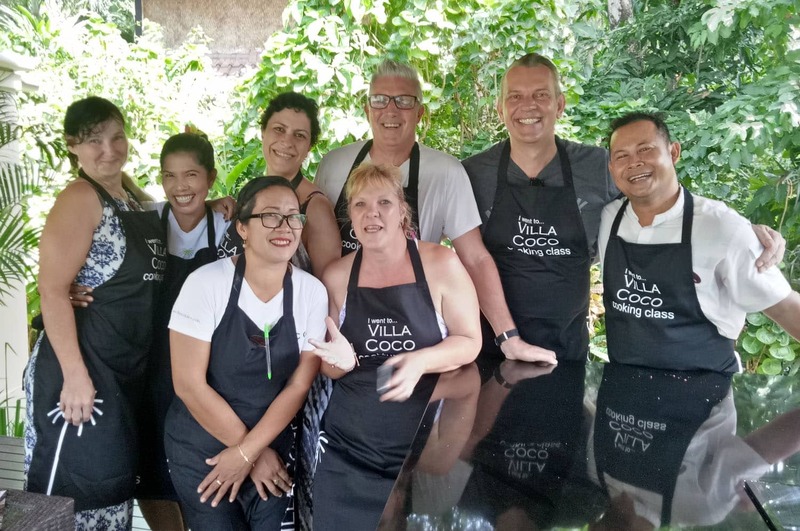 They love our classes too! 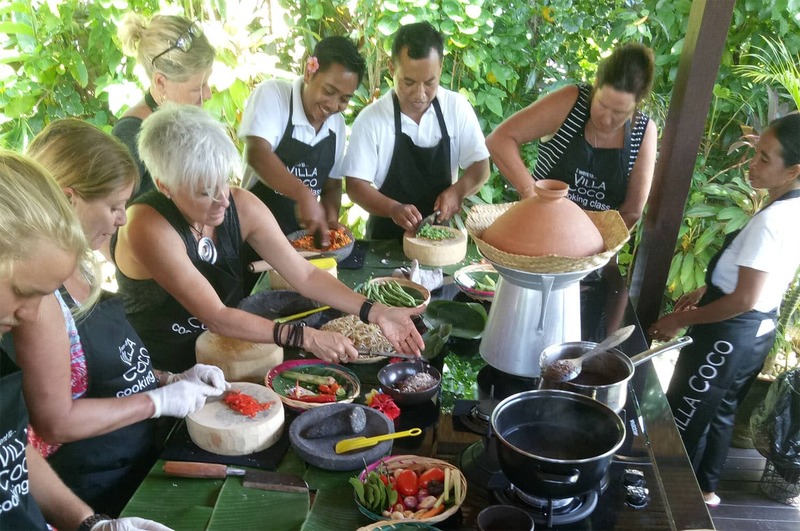 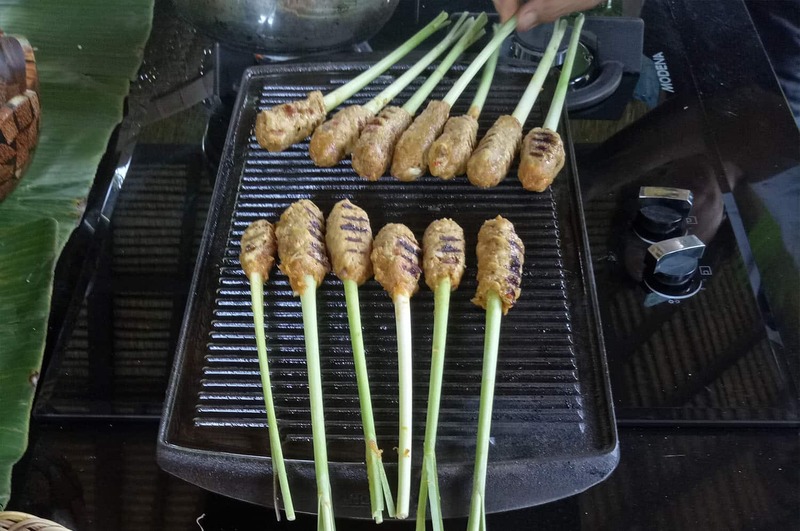 Our food is truly lovely and our class is very informative with cooks that are passionate about Balinese food. 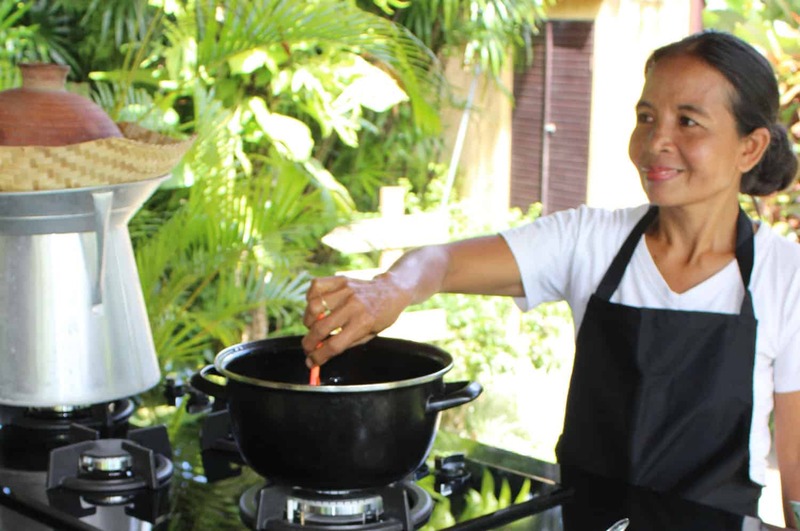 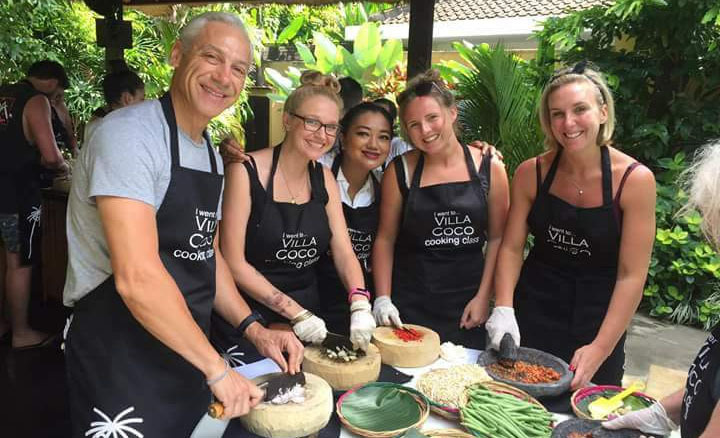 Our cooking classes include recipes, an apron, your lunch to eat at Villa Coco with your fellow cooks…made by you with love! 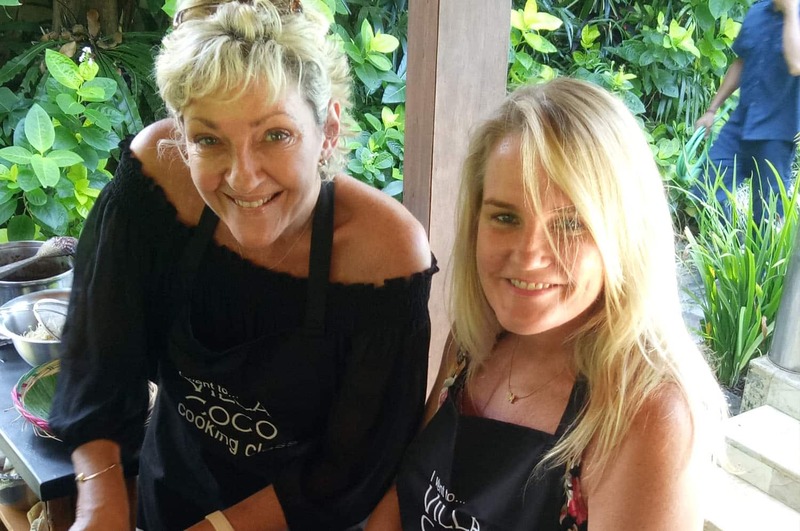 Come along…we know you will love it!